A new nine-CD audio set of W.G. Sebald’s Austerlitz has just been issued. The entire book is read by Michael Krüger, Sebald’s long-time friend and publisher. 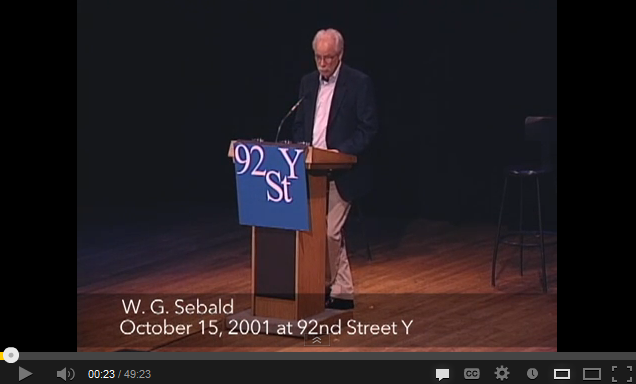 Plus, there is a section of Austerlitz read by Sebald in 2001 at the Unterberg Poetry Center of New York’s 92 Street Y, which can be seen on YouTube. Krüger gives an excellent reading of Sebald’s final novel, speaking in a gentle, slow intonation that sounds much like Sebald himself. There is also a related six-minute podcast reviewing the new CD set that can be heard (and downloaded) at the website of WDR3. From 1968 to 2013, Krüger worked at Carl Hanser Verlag, which was Sebald’s German publisher from 1998 until 2008. In Europe, the CD set is available from multiple sources that have links on the Random House website. In the US, the set can be purchased from multiple sources through Amazon. The list price is surprising affordable at €29,99 in Europe, with prices starting at $35 in the US. I’m grateful to a Vertigo reader for letting me know that W.G. 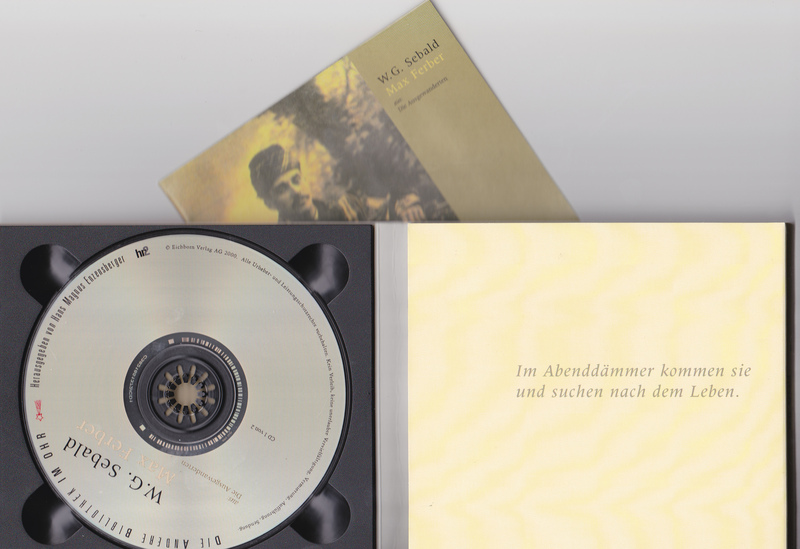 Sebald’s book Die Ausgewanderten (The Emigrants) is available as a German-language audio book on 7 CDs, published by Winter & Winter. The reader is Paul Herwig. It can be ordered directly from their website. It was apparently released in late 2007. 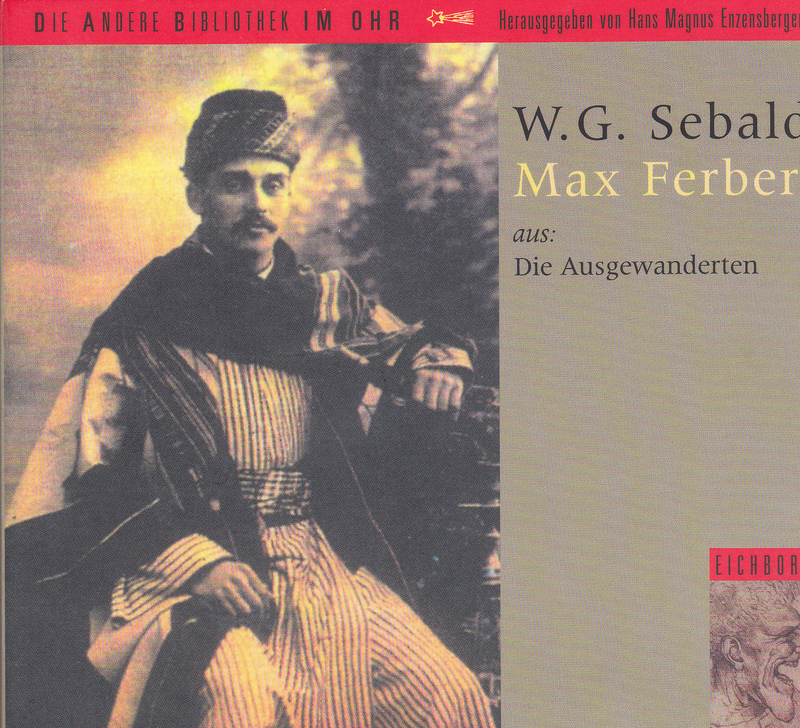 Previously, the Max Ferber section of Die Ausgewanderten was available on a pair of CDs issued by Eichborn Verlag in 2000, with Sebald himself reading.